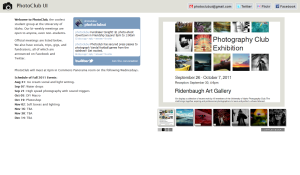 As a member of the UI Photoclub, I created a general website to show recent photos and general contact/schedule information. I was invited to teach engineering, math, and science at a summer camp for senior high school students. 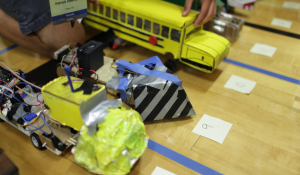 This year the students built model cars and controlled those cars using arduinos programmed in C. Was responsible for teaching Computer Science and Computer Engineering. Integrated servos, motors, LEDs, and light sensors into a custom model vehicle. In order to better understand media bias for elections, I implemented a program that harvested all of the major news organization's published articles from 2003 to present, built a dictionary of words for a given article, and recorded the frequency of specific words that had gender and emotional value. Used statistical analysis to determine if certain media groups treated candidates differently, depending on gender. 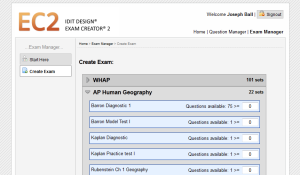 I designed and implemented a multi-user, MySQL backed, web-based application that allows users to create, organize, and store questions for exams. Users can generate randomized exams using the stored questions. 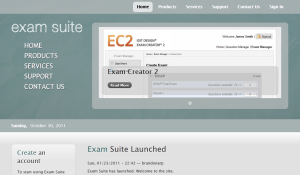 Users can pay for yearly access through www.examsuite.com which maintains the database of user accounts separate from Exam Creator. A federated service allows Exam Creator to validate user access. 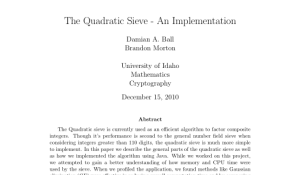 As part of an assignment for a cryptography course, Brandon and I implemented a quadratic sieve. The program was written in Java and required a sparse matrix for space efficiency. 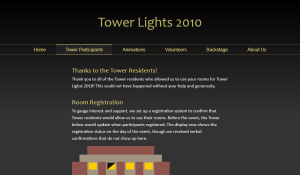 For one of the largest and most unique displays of campus pride the University of Idaho has ever seen; I used skills with programming, network communication, arduinos, design, and human interaction to synchronously light up windows to music in a residence hall at the University of Idaho. 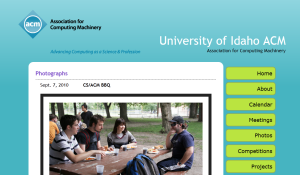 As president of the University of Idaho's chapter of the Association for Computing Machinery I was able to help integrate dynamic content and move the site from a static html driven environment to a php hosted solution. 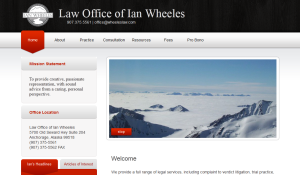 For the Law Office of Ian Wheeles I selected a Drupal template and implemented the core features of their website. Outside of the web implementation, I also managed their e-mail system and provided technical consulting. 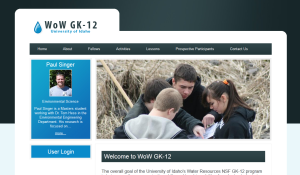 WOWGK12 is a program designed to educate future K-12 teachers about effective ways to teach science. I designed a website that explained the program, housed and displayed data on current and past participants, and provided a mechanism for simple updates. Drupal and a host of modules provided by the Drupal open source community were used to achieve the requirements. Attended regular meetings as necessary with the client during development and as needed in the support phase. Ramsey theory is concerned with preserving characteristics of integer sets as those sets are separated into distinct subsets, frequently called colors. 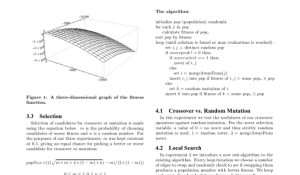 My research into Ramsey theory used evolutionary computation to evolve potential solutions to a Ramsey number that is unknown. My goal was to help researchers in the psychology department to collect data on password recollection schemes for user authentication. I developed a web-based software that allowed participants to register accounts, enter into a test sequence, complete experiments, and return when prompted by the software. 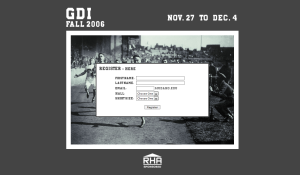 GDI week is a week-long event hosted by students in the University of Idaho Residence halls. The week centers on inter-hall competition and friendly study breaks. For this week, I designed and implemented a site that allowed participants to register for the week and receive a unique identifier/badge. Badge IDs were logged at events and the website displayed attendance/point data by person, hall, and event. As the VPMC of the RHA and the bearer of an incredibly long title, I was tasked with producing a consistent media presence and message. I designed the website layout and designed/managed the production of the RHA magazine, Graffiti. For this project the client was a teacher and department chair at a local high school. His project was first conceived as a method to remove costs of printing class materials, such as newspaper articles, and allow students to access materials from home. The site was later expanded to encompass other forms of interactive digital media, like video and audio. By winter break, more capabilities for an instructor website were being used by this course than any other in the school. Similar sites were created for other teachers by request. The University of Idaho has a well know reputation for excellence in student sports and recreation. In fact, many students decide to attend the UI because of its exceptional extracurricular student programs. 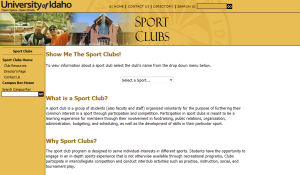 In order to highlight some of these programs, Gordon Gresch, director of Sport Clubs and Facilities Manager of the Student Recreation Center, asked me to design a website that would improve the UI Sport Club's web presence. The design was launched during the Fall 2005 semester and received exceptional feedback from students, club representatives, and administrators. 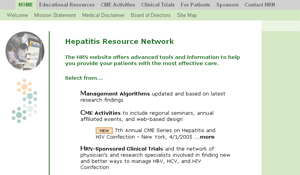 The Hepatitis Resource Network is a 501-3(c) non-profit organization that manages research studies on viral hepatitis as well as conducts continuing medical education (CME) activities for doctors across the nation. The HRN was in need of a design that was easy to navigate and a backend that made the website easy to maintain. CSS, PHP, and MySQL were the solutions to style design, code management, and database integration, respectively. The HRN also wanted doctors to register for CME activities online, so a SSL solution was created which allowed doctors to enter their personal information an then be forwarded to PayPal to process their payment.